The turbulent times of the early 1970s certainly affected and influenced the Who production team, writer, Malcolm Hulke, and Frontier in Space’s considerable audience. 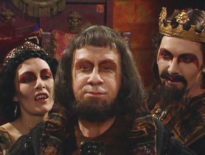 9.1 million watched Part One on 24th February 1973, and though this dwindled to 7.1 million for 17th March’s Part Four, the viewing figures rose again to 8.9 million for the final episode. And all of them could see the parallels between their world and that of the 26th Century. Most notably, Frontier in Space shone a light on politics and war, but deeper under the surface, the story reflected other issues of the times, including population growth, the penal system, and the feminist uprising. The general public could relate to the tense circumstances between Earth and the Draconian Empire, feeling that the political situation of not just the UK but also America was getting out-of-control. The world of 1972 – when Hulke was writing Frontier – and 1973 – when the serial was actually broadcast – was a dangerous one. 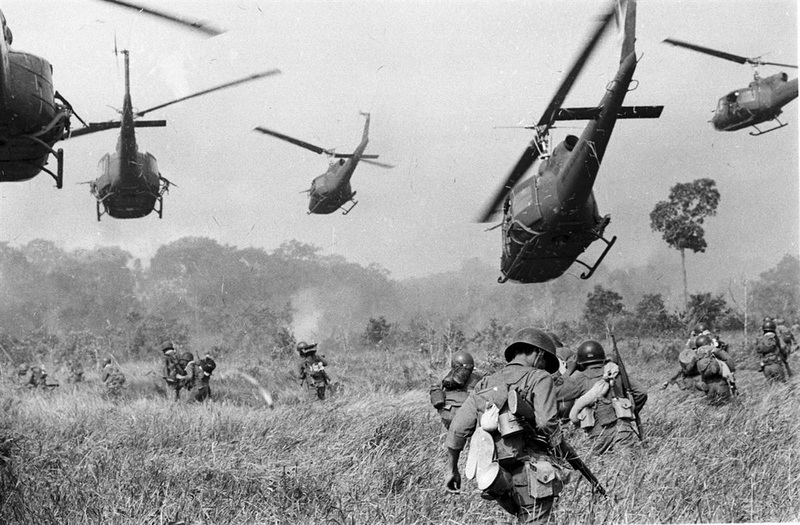 By the end of Frontier’s screening, United States soldiers had left Vietnam, but the war there remained on everyone’s minds: it had, after all, been so bloody and terrible even the peacefulness of the festive season was obliterated after US President Richard Nixon was heavily criticised for bombing North Vietnam on Christmas morning. 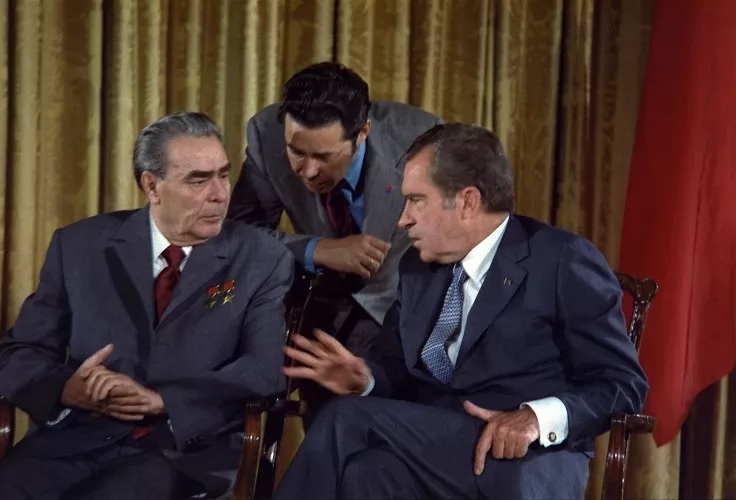 Despite Nixon and Soviet leader, Leonid Brezhnev, signing treaties (and commencing talks in June 1973), the threat of the Soviet Union still loomed large. It seemed that sinister forces were moving around, uncontrollably, and this might’ve reflected in the Master’s involvement in Frontier in Space, bringing the two empires closer to war. Of course, the war in Vietnam was drawing to a close, with the first US prisoners of war being released nearly two weeks before Part One of Frontier in Space began. 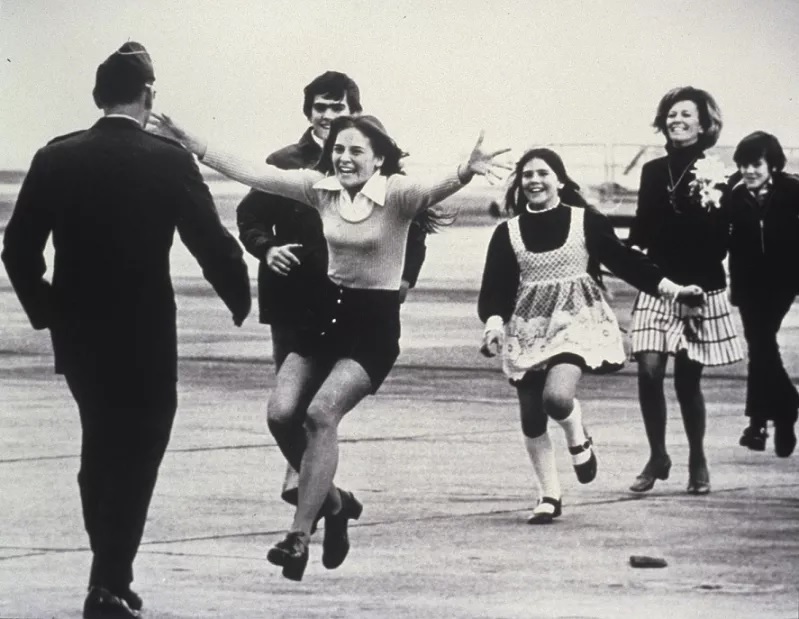 The excitement and positivity surrounding the end of the war was perfectly captured in the award-winning photograph, Burst of Joy, which showed former-POW, Lt. Col. Robert L. Stirm, reunited with his family. The troubles in Ireland were markedly in the minds of the general public, however; 1972 saw Bloody Sunday, in which 14 unarmed nationalists were killed by the British Army in Derry, Northern Ireland, a day which led to anti-British riots; the Aldershot bombing; Dublin’s British Embassy being burned down; and Bloody Friday and Bloody Monday. 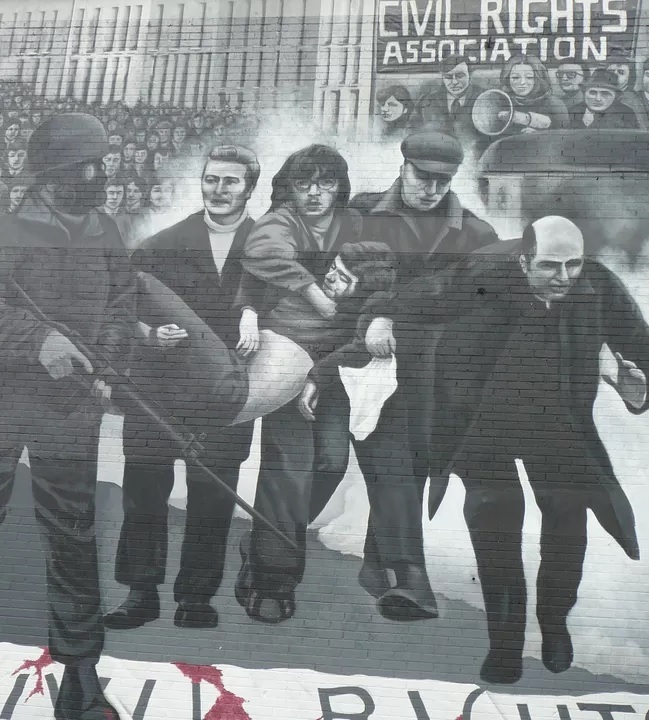 In June 1973, though, elections were held for the Northern Ireland Assembly, eventually leading to the sharing of power between nationalists and unionists for the first time – but it was by no means the end of the troubles. Frontier in Space also looked at the penal system, with the Doctor (Jon Pertwee) imprisoned on the moon (and nearly sucked out of an air lock). It added another layer to an already-teeming universe, and again reflected the concerns of an early 1970s audience. In April 1973, just after Frontier ended, the House of Commons voted against the return of capital punishment, and a month later, it was also abolished in Northern Ireland. It was obviously an important aspect in the infancy of the 1970s, and Malcolm Hulke married this notion with another major concern: population control. Immigration really affected Average Joe, and by 1972, there was massive concern for the UK’s economy. Unemployment rates were simply too high – it exceeded 1 million for the first time since World War II – and the 26th Century faced similar problems, despite the human race having spread out amongst the stars. Anyone trying to stand out (protesters, rioters, generally trouble-makers) was sent to the moon for a lifelong sentence, including, of course, everyone’s favourite Time Lord. It’s interesting to note, however, that the Master isn’t captured, even though he was the one stirring up the situation from behind the scenes. Maybe this showed that it was the ‘little man’ being punished, and not the real movers and shakers, something that was (supposedly) beginning to change after the Watergate scandal exposed corruption in the United States. The Doctor Who team built a convincing world behind Frontier in Space, but it was only because of the real dangers and concerns of a world seemingly on the edge.